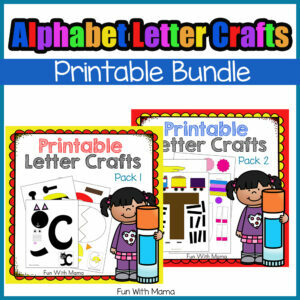 Looking for some fun New Years Eve Ideas for Families? 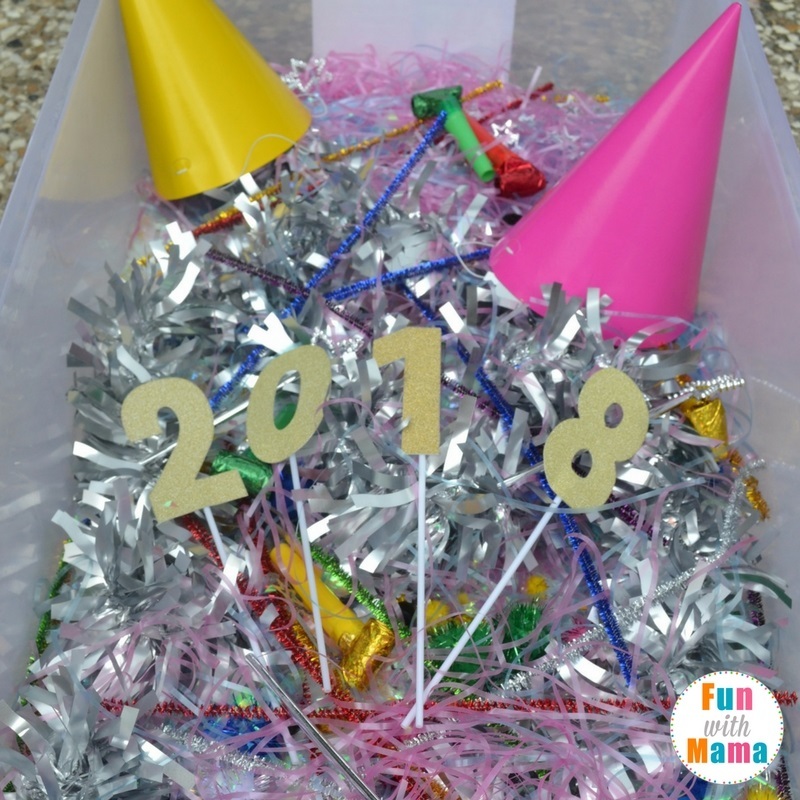 Then this fun themed New Years Eve sensory bin is perfect! 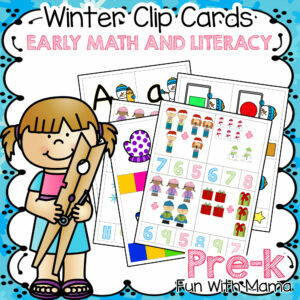 Can you believe it’s almost the end of the year! 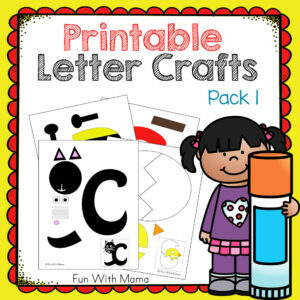 New Year’s Eve comes around so quickly after Christmas and it can be tricky to keep the little kids entertained. 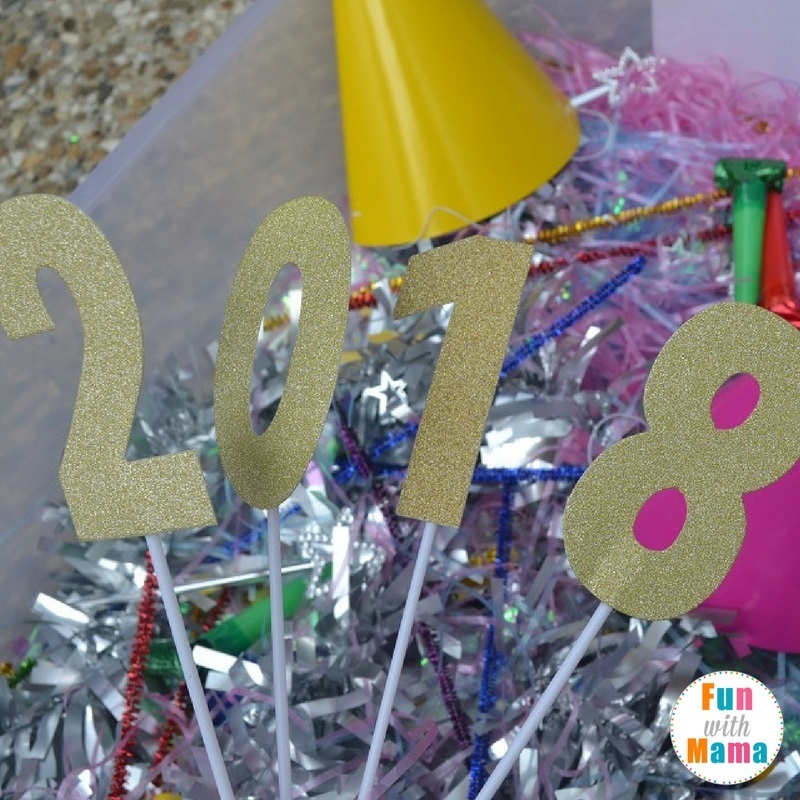 Each year we make a New Year’s Eve sensory bin that is always a huge hit! 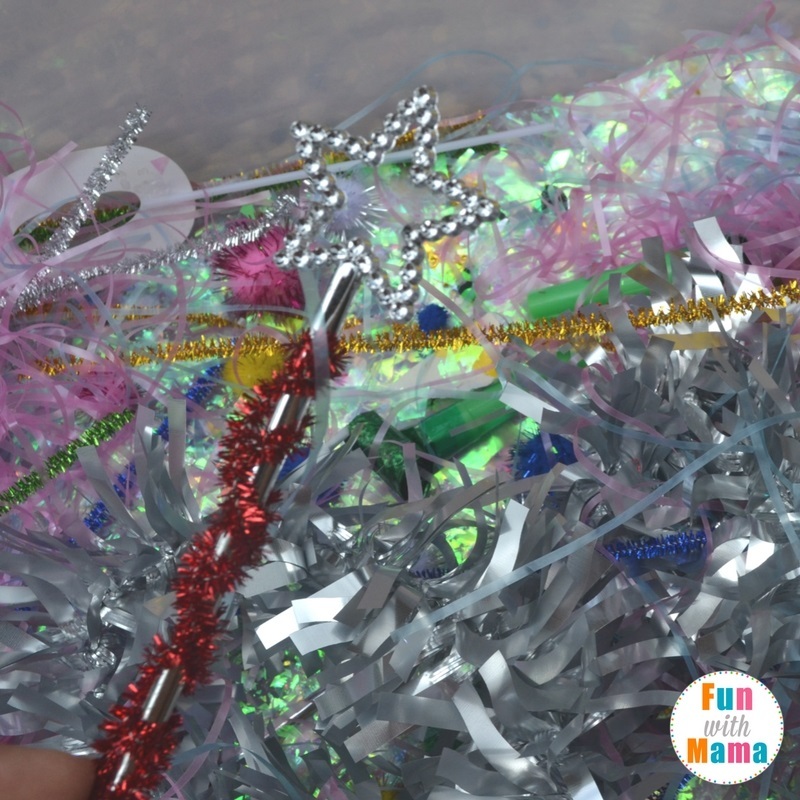 This one does get a little bit messy and you WILL have glitter and sequins around the house when they’ve finished playing with it, but isn’t that what New Year’s Eve is all about! This would be an amazing way to entertain kids at a New Years Eve party at home. 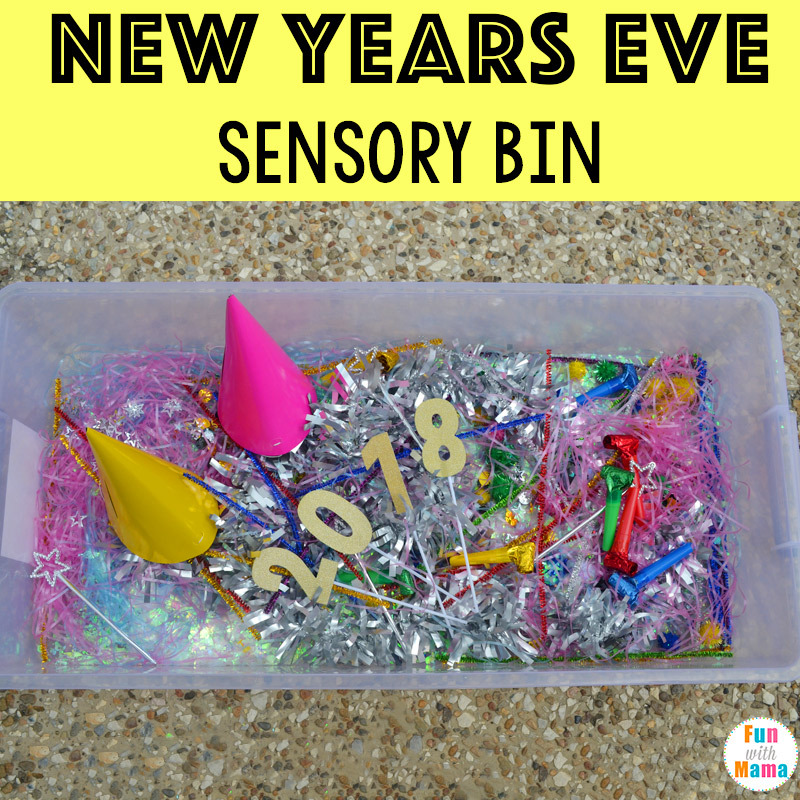 This New Year’s Eve sensory bin is one that will probably end up looking different for everyone. 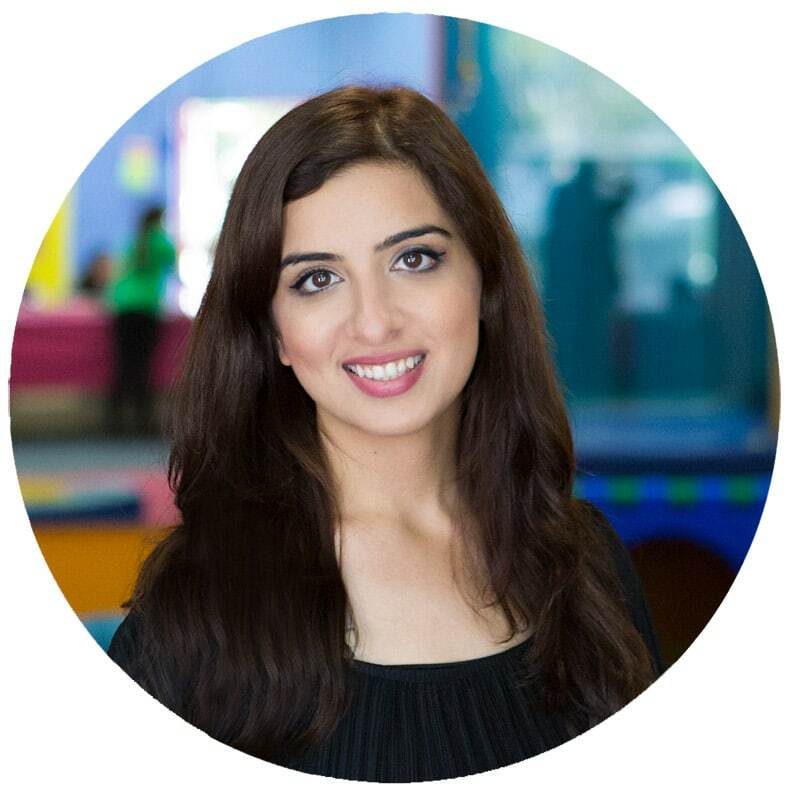 With all my sensory bins I encourage you to look around your house first and see what you already have, as you really don’t want to go and spend a fortune at the shops. 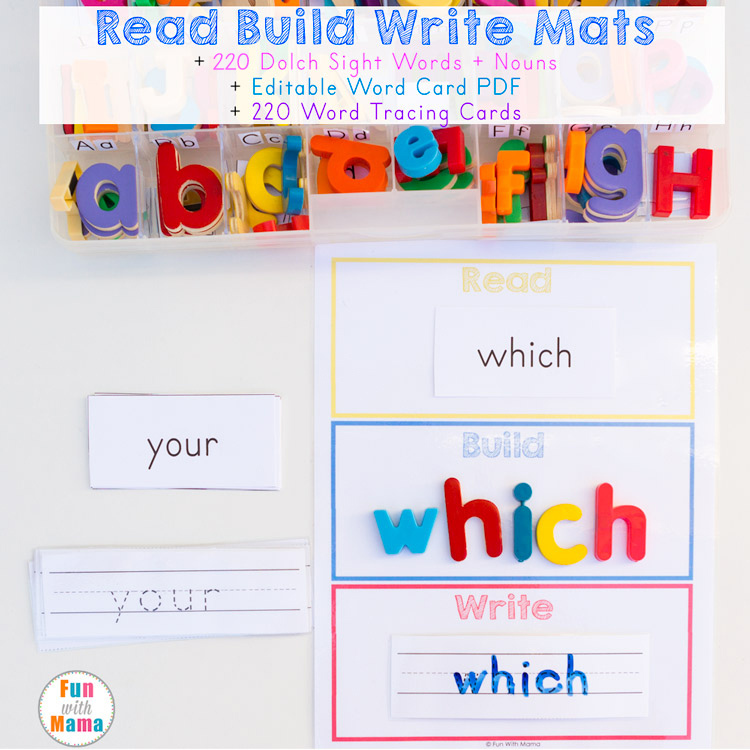 For this one we were able to reuse a lot of items that were in our Christmas sensory bin, and that we already had in our craft box leftover from Christmas. If it has glitter or sparkle, then throw it in! AS with most sensory bins, I’m never entirely sure how the kids will play with them, and that’s really the point. 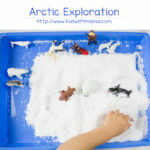 I like to let them explore and experiment with the items in there, and reserve my suggestions about how to play until they have spent a few days coming up with their own ideas. 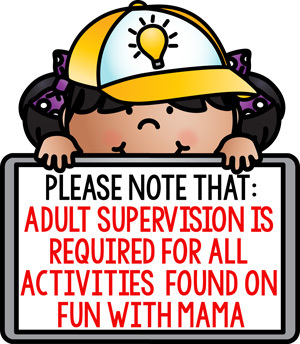 Here’s the actual list of what we included in our New Year’s Eve Sensory Bin, but it’s fine if your’s looks different. Plastic Tub. I like to use the long tubs like this one, but any size will work. Shredded paper. I used blue and pink but any colors will do. 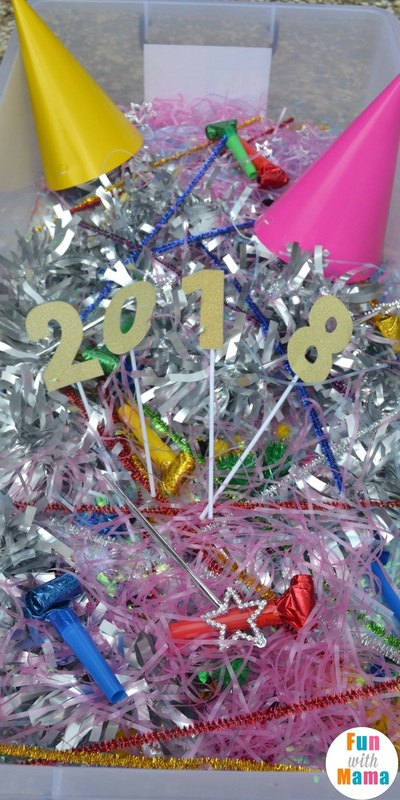 New Year’s Eve sequins – I found these in my local dollar store. This is one of the easier sensory bins to set up. It’s a box where all of the items get mixed up anyway, so you can put them into the container in whatever order you like. 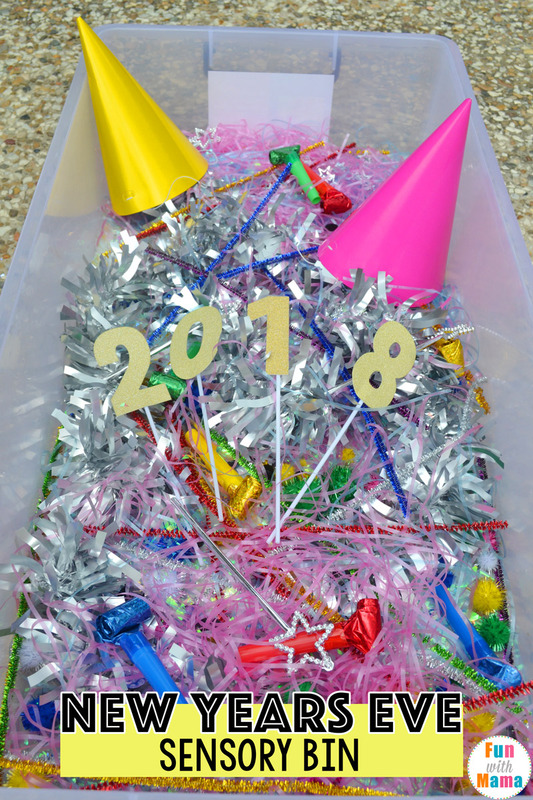 I did set up the numbers to make 2018 and placed the party hats nearby to give it a festive look. 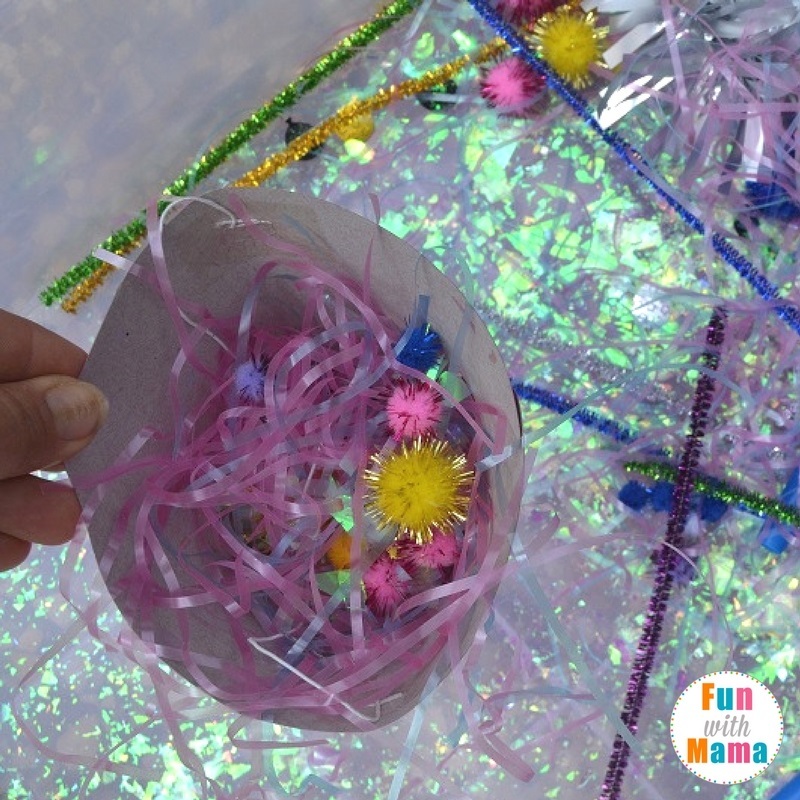 As you can imagine, the children were super excited about how glittery and sparkly this sensory bin was (and yes, we do still have glitter floating around the house!). They started by going through and seeing what was in there and playing individually with most of the items. The party blowers were definitely a hit, and if you don’t like loud noise you might want to keep these out! As well as wearing the party hats (which they did for most of the day and night! 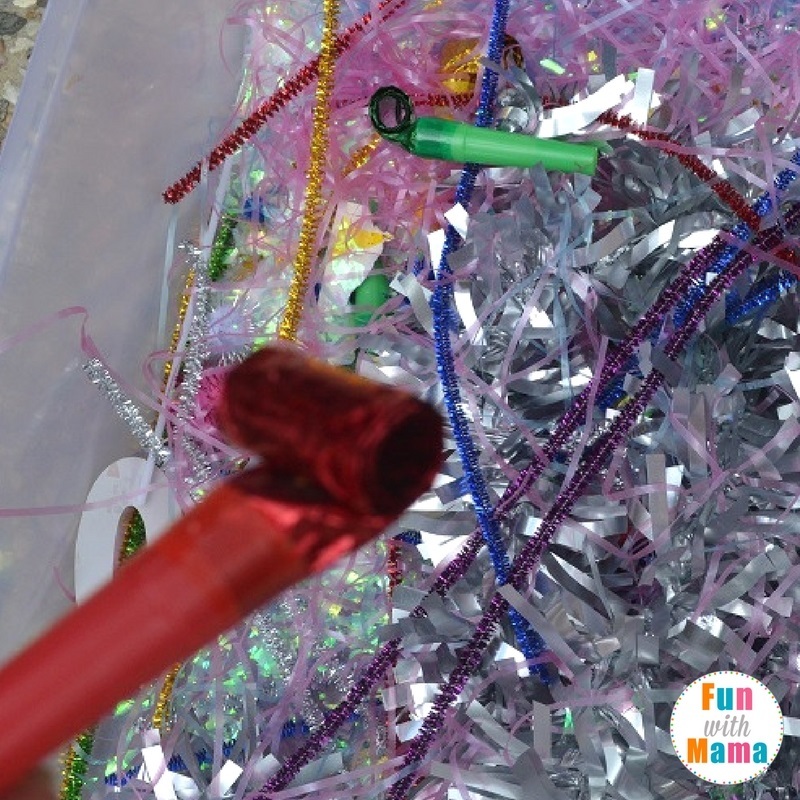 ), they also used them like cups, filling them up with different items and they even pretended to be a New Year’s eve store selling party supplies! I actually added a few more hats after they had started playing so that they could wear them and play with them. Then they played with the party blowers…. 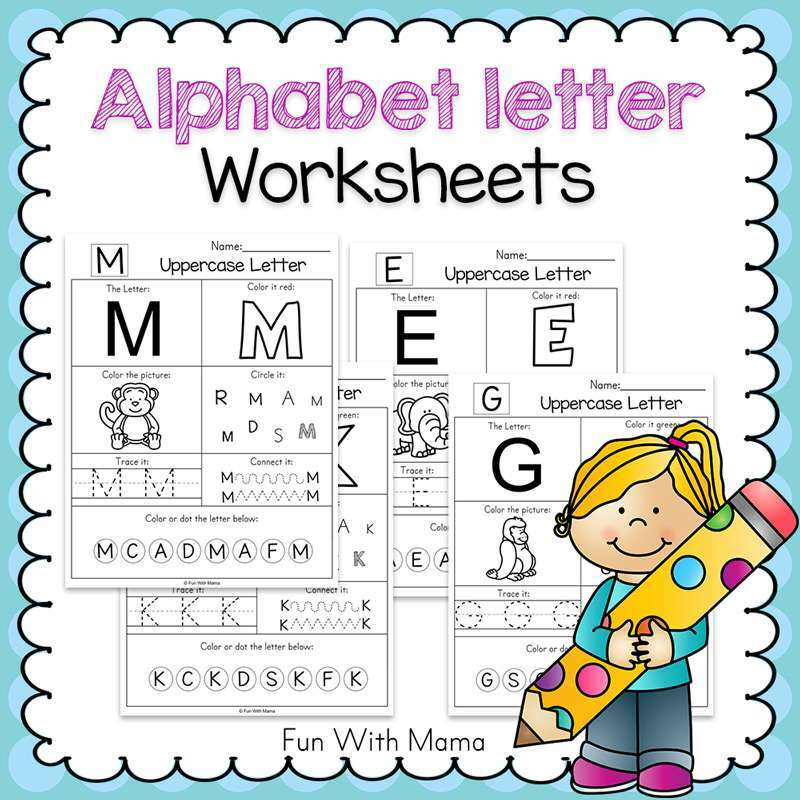 over and over and over again! 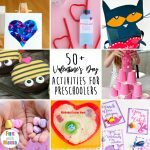 These definitely were a hit! The numbers on sticks were also lots of fun. There was a lot of discussion about the numbers and questions asked about why the year is changing from 2017 to 2018 and what the ‘new year’ means. We discussed moths and years and it started some great conversations. The wands were also fun to play with. They wrapped the chenille stems around them to make them colored. Then they pretended to be magic elves and fairies, casting magic New Year’s spells on each other. 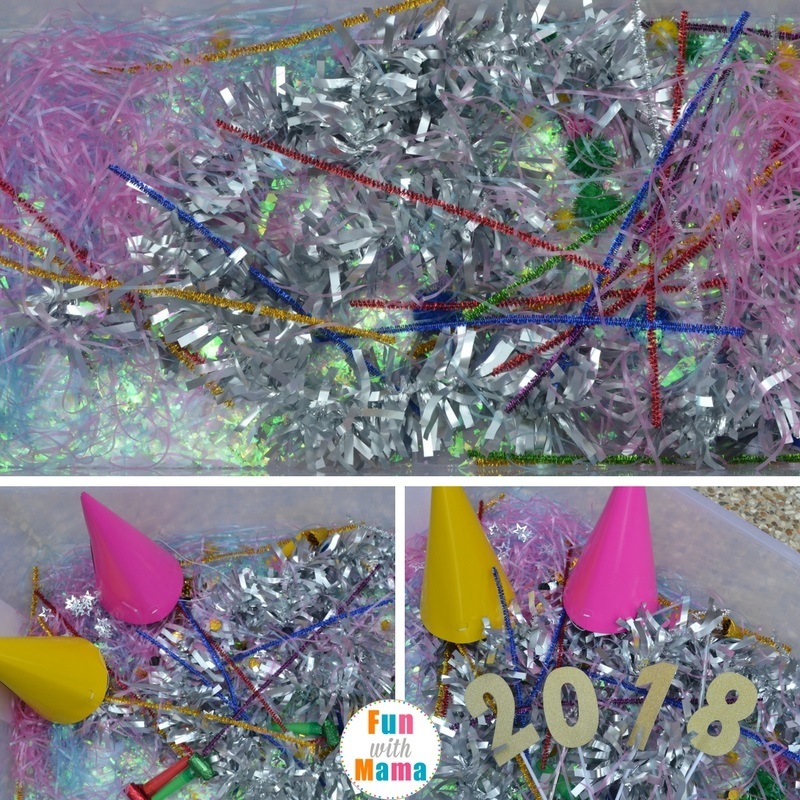 I’m sure your kids will have just as much fun playing with this New Year’s eve sensory bin as mine did! 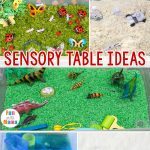 Find more of our Sensory Bins here.